Italian Avvocato admitted to the bar of Naples and authorised to appear before the supreme courts, Paolo de Berardinis, assists his clients, on both contentious and non-contentious matters in national and international employment law, industrial relations, agency and contract issues generally. 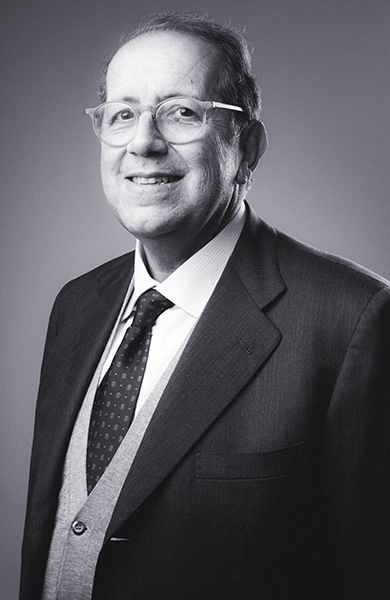 Consultant to CastaldiPartners, Paolo de Berardinis is a founding partner of the law firm De Berardinis & Mozzi (http://www.deberardinismozzi.it/en/), an independent structure to CastaldiPartners though linked by a 20-year collaboration. After graduating in Law at the Università degli Studi di Napoli “Federico II”, Paolo de Berardinis became manager and director of legal and personnel affairs for several large international companies, including Colgate-Palmolive Italia SpA, General Motors Italia SpA and AMDHAL Italia SpA. He is considered a leading specialist in the field of employment law in Italy. Assisting an Italian company in the advanced tertiary sector in the introduction of a system of remuneration through welfare-linked bonuses. Assisting an Italian industrial automotive company in the introduction of production control software. Assisting a multinational company in the restructuring of its sales network. Assisting a multinational IT company in the purchase of a branch of activity, outsourcing the transferor’s system assistance. Assisting several Italian companies in the framework of workforce restructuring/diversification. Assisting an Italian service sector company in introducing a bonus system exempt from income tax and social security contributions. Assisting an Italian commercial company in the adoption of new mandates for agencies, area inspectors and area managers. Paolo de Berardinis has published numerous articles in the magazines of the IPSOA group, Editrice Giuffrè and Buffetti. He also publishes technical articles for Il Sole 24 Ore. He has taught in postgraduate courses (IPSOA Scuola d’Impresa) and at CUOA in Altavilla Vicentina and has also collaborated with the Associazione Italiana Direttori del Personale (AIDP) at the Università “Luiss Guido Carli” of Rome.